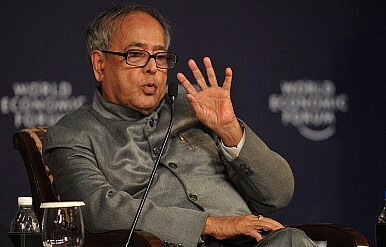 India has elected a new President. Some though are not happy with the results. Pranab Mukherjee will become the new resident of the world’s largest presidential palace, the 340-room Rashtrapati Bhavan in New Delhi. He won one of the most bitterly contested presidential elections in India’s history on Sunday evening; registering a victory over his rival PA Sangma by receiving 69 percent of the total electoral college votes, leaving Sangma with little over 30 percent. This may well prove to be Congress Party President Sonia Gandhi’s most ambitious move in view of the approaching general election, which is scheduled for 2014 and widely expected to be a close one. These days, no political party in India is riding an electoral wave and is unlikely to receive such a boost in 2014, which could quite possibly produce a hung parliament. In that event, the Congress Party has greater prospects with a favorable person like Mukherjee as President of India – especially given the fact that the Indian Constitution has many grey areas when it comes to a President’s power to appoint the Prime Minister. A veteran Congress leader who has been involved in the Indian government since 1969, the 76-year-old Mukherjee will take his oath from the Chief Justice of India to become the country’s 13th President. Interestingly, the number 13, widely considered to bring bad luck, has been very auspicious for Mukherjee, with 13 figuring in his home and office addresses and also the date marking him and his wife’s anniversary. In terms of the campaign, it was a vicious presidential election. Although Sangma congratulated his opponent, he also cried foul and claimed that uneven financial power played a big role in his loss. Sangma accused the United Progressive Alliance (UPA) government of indulging in unfair practices and, in particular, took exception to the UPA government’s special financial bailout packages to select Non-Congress states and political battlegrounds like Uttar Pradesh and Bihar, saying: “The process in this Presidential Election has been exceptionally partisan and political… it persuaded political parties commanding major sections of the Presidential electoral college by economic and other packages… as well as inducements, threats and promises.” Furthermore, Sangma lamented that the country had lost a great opportunity to elect a tribal President as a result. What the seating order at India’s Presidential swearing-in ceremony may signal.